Looks like Apple isn’t the only one creating secret projects and creating a PR storm about it. Google is building a 4 story tall barge off the coast of San Francisco, but no one knows what it’s for and Google isn’t talking it seems. What do you think it’s for? Either way I like the fact that Google is taking after Apple! A great article in Time magazine my colleague sent me regarding how social media has impacted personal life and business’s. I’m back! I know everyone missed my updates on iPhone and iOS 7. I’m sure you’ve all read and experienced everything and me talking about my experience would be useless. 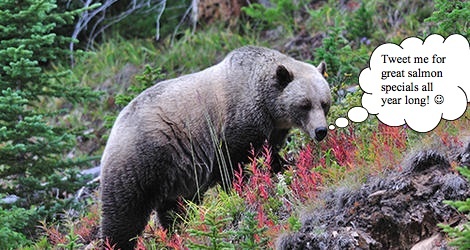 Therefore, I’m going to talk about a thought I had while on vacation in the beautiful Canadian Rockies. While traveling, you’ll come in contact with lots of different companies providing services, from airlines to hotels to restaurants. In the olden days, one would go to a travel agent who would plan an entire itinerary for their clients. Once the internet exploded, clients became their own travel agents, and now with social media, that process is so much easier. Followed is a list of a few examples of my own experiences during our latest trip to Banff, Alberta. Booking our flight seemed easy, straight through the WestJet website right? Yes…but then it crashed half way through. I called the 1800 number, and they helped me out. It just took a very very veryyyyy long time, with a few rude people during that time. I thought, I’ll reach out to their twitter account to express my frustration. They were very good in replying, much faster than a formal e-mail, and I instantly felt like I had a personal connection. This to me is very important, and the reason I like social media so much. Although Westjet is a big corporation, a tweet back from them made it a personal connection between business and consumer. They replied to me instantly, showing they wanted to help me out. They quickly made up for the short comings during the booking process, and they helped me regain my confidence in their airline. After settling my airline booking, I set up our hotel room booking. Being a concierge, I had some connections and that was a breeze. Not wanting to bother my colleagues at the hotel, I reached out through twitter, to ask about different things. I could have e-mailed them, but I found that a quick tweet sums up things quickly, and it makes things easy. I feel when writing an e-mail, it has to be formal, and directed to a specific person. I also searched through TripAdvisor to read up on others experiences. TripAdvisor is another form of social media that makes the travel experience a more personal one. You can read personal details on others trips to that place. This is different than reading reviews that are carefully selected and placed in travel magazines, or quotes placed on the company website. Once we were on our trip and taking in all the scenes, we tended to get hungry a lot from all the hiking. We then of course had to research restaurants. Where’d we turn to? Social media of course! Yelp! helped out when we needed something to eat, and learned what others thought of the place. Just like TripAdvisor but for the restaurant industry specifically. After our meal or if we needed a quick response to when they were open until, Facebook or Twitter solved those problems. Overall, on our way home from an amazing vacation, I thought to myself how much the travel industry has hanged thanks to social media. It creates a personal connection between business and consumer, that differs from the travel industry magazines and company websites. Social media also offers information and access to smaller lesser known restaurants and companies that don’t have the marketing potential of those larger companies. This allows for a level playing field where consumers can discover hidden gems in terms of restaurants, tour companies and hotels. I’ll leave my readers with one question. Now that you see how social media has impacted my travel experience, how has it impacted the way you travel and experience new things? Tagged Hotel, restaurant, Social Media, Travel, TripAdvisor, twitter, Yelp! The rumors and concepts for the iWatch just keep coming. Some of the concepts make sense, this one looks a little to much, like a bangle and not a watch. (Yes my girlfriend would be proud of my jewelry knowledge saying bangle) “lets just bend my iPhone 5 around my wrist” is the only thought process I can see with this latest concept. As I was drinking my morning coffee on my day off today I stumbled across some new iPhone rumours. For all you Apple geeks and tech nerds like myself, this is like the first winter swell at pipeline for Jamie O’Brien. The rumour is that the new iPhone, will have a fingerprint scanner built into the home button. In order for this to work, apparently Apple will have to make the home button a concave shape instead of convex. That way the parts needed to scan a fingerprint can fit. Apparently according to Mac Rumors website, this is the new wave in mobile phones. My question is, at what price will this new technology come, and is it necessary? Think about what you have on your cell phone now. Contacts, photos, maybe your banking app, but that’s a secure app anyways, oh and Angry Birds. Is there a huge security threat when you lose your phone? Maybe, but with the Apple Find iPhone app, you can wipe it clean anyways. What’s the need for an expensive piece of technology, when one click from iTunes can swipe a phone if it’s lost? As for people getting on your phone, just put a pass code on it. 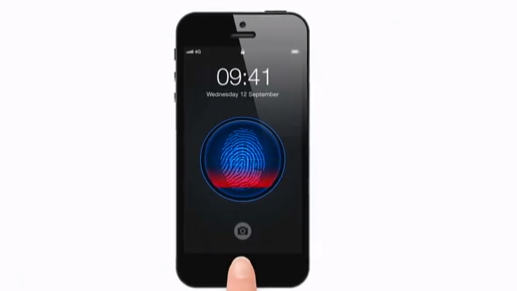 I for one can’t see how a finger print scanner will make it onto the iPhone 5S, just seems to be a bit much. The cost I would also assume goes up undoubtedly with such a technology built into it. The phone is already priced high, yet I still buy the newest one every time. This time though I’ll be taking a second look, because I have a feeling we’ll be seeing this price rise up with all the new features plus iOS7 going into it as well. I’m still an avid apple fan, and look forward to seeing what happens with this rumour, but in the back of my mind I can’t seem to wrap my head around this idea. GQ has written a hilarious article on the social disorder known as FOMO- “Fear Of Missing Out”. Now for some this sounds like a joke, but for others it is definitely reality. As I study social media regularly, I tend to be quite connected and like to think I’m up to date on lots of news worthy items. I knew that Kate and William had a baby boy without turning on a TV or even leaving my work desk. I just scanned twitter and BAM….Baby Prince was born. I also just took a three day mini vacation up to the cottage and put all internet devices away during the day, and didn’t worry at all. I therefore don’t suffer from the aformentioned #FOMO. The fact is though, social media and this connectivity at your finger tips, although helpful most of the time, can be detrimental. People now have a need to have an internet connection! I work at a hotel, and we just recently made our wireless access complimentary within the past year. Prior to this we would have enraged guests screaming at us that they had to pay. Meanwhile I’m thinking, you’re on vacation, some only for one night, take a break! If you suffer from #FOMO then follow the link to guide yourself back into reality! 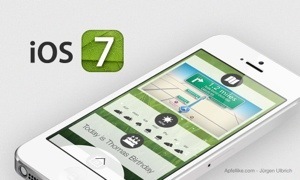 One of many preview screen shots of the new apple iOs 7. I like the look of the lines and the fonts. I can’t tell if the wall paper is going to be “live”, I think it would be a cool feature to have for apple. I think its taking on more of a android style, catering more to a younger style audience. What are your thoughts, who’s excited for the new iOS system? It seems to be a make or break with the way apple stocks are going these days. Social Media Marketers: Will they stay or will they go now?